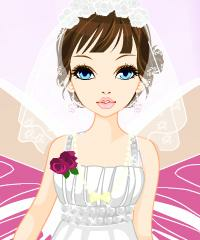 Fairy Bride Dress Up Game. Find the Perfect Wedding Dress for this Beautiful Fantasy Girl from Fairyland. Her Mother is the Queen of Fairy and she is an elf. You Need to Select Wings in Style for this Cutie. Go Play for Free and Have Fun.